The new BMW 2 Series Diesel Coupe’s engines are powerful and economical, and once again a BMW is one of the best cars to drive in its class. However, its diesel engines aren’t as refined as the petrols. The new car looks and feels sportier than its predecessor. It’s set lower to the ground and boasts sexier styling. Compared to mainstream rivals it isn’t cheap, though, while its list of optional extras are extensive and expensive. OSV takes a closer look at what it’s all about with our 2018 BMW 2 Series Diesel Coupe. As ever with a BMW, the 2 Series Coupe gets a rear-wheel-drive layout, which distinguishes it from its rivals. It also helps to boost its drivability and the car feels very sharp. The problem you might notice, however, is that when you pair the 2 Series up with the entry-level diesel, it won’t feel especially rear-wheel-drive. This has been the case with BMW’s for a good couple of years now. The smallest diesel handles well and feels stable enough, but it feels like your average front-wheel-drive Coupe. Go for a more powerful engine, of course, and the rear-wheel-drive setup shows its colours. The car begins to feel more fun and adjustable. That said, all models should be able to put a smile on your face, and this is certainly one of the most entertaining cars to drive in this sector. There’s lots of grip on offer and the blend between comfort and handling is perfect. There’s not much communication from the steering wheel, but it’s precise and well-weighted. Body lean is minimal and there are two gearboxes on offer. There’s nothing inherently wrong with the 6-speed manual but we prefer the 8-speed automatic ‘box. It boosts fuel economy and feels intuitive. That said, it will cost you an extra £1,500. In terms of the engines, the 218d diesel is the aforementioned entry level unit. It has a 0-62 time of 8.4 seconds which isn’t too bad but it just doesn’t make the most of the car’s rear-wheel-setup. Step up to the more powerful 220d diesel and you can get from rest to 62mph in 7.1 seconds. xDrive four-wheel-drive is available with this engine, but it’s only worth adding if you think you’ll need extra grip. Otherwise, stick with the rear-wheel-drive layout as it’s less expensive and more fun. Inside, BMW has definitely worked hard to make improvements. Last time around, the 2 Series Coupe was saddled with poor quality materials and it just didn’t look or feel all that great compared to rivals. This time around, it’s a lot better but the Audi TT still outdoes it for quality. The BMW’s cabin is now a more relaxed place to spend your time on the motorway. Insulation is excellent and the diesels pipe down when you’re cruising. Stick to the standard suspension setup and comfort is just fine, too. The dashboard is very driver-focused and feels classically BMW. The lack of a low seating position will rankle with some buyers, however, but you can’t argue with the quality of the plastics or the bright trims that create some visual appeal. That said, it lacks a few touches that make the likes of an Audi TT so special inside. 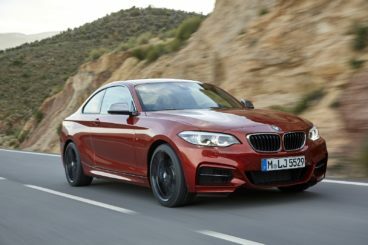 Is the BMW 2 Series Diesel Coupe practical? It’s not quite as sporty-looking as some rivals, but this means it’s able to offer a bit more practicality. 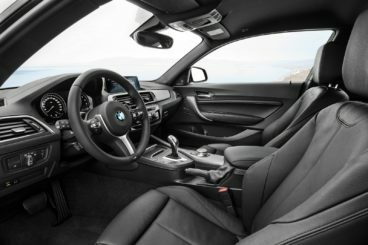 Unlike a Porsche 718 Cayman, for example, the BMW has rear seats. These are two individual seats, so there’ll only ever be room for four adults maximum. Overall, the interior is spacious and the large rear windows let in lots of light. Space upfront is fine, there are lots of storage spaces available (including a big glovebox), while the boot measures 390-litres. Standard equipment is good across the range, with the entry-level SE model getting 17” alloys, climate control, rear parking sensors, BMW drive modes, automatic LED headlights, a multi-function steering wheel, a 6.5” infotainment screen and Bluetooth. The Sport trim adds a rear bumper, chrome exhaust tailpipes, a unique instrument cluster, Sports front seats, and switchable ambient interior lighting. In terms of how safe the car is, the 2 Series Diesel Coupe hasn’t been crash tested by Euro NCAP yet, but it’s based on the 1 Series, which was awarded all five stars. Its standard safety kit includes a speed limiter, automatic windscreen wipers and lights, tyre-pressure monitoring, electronic stability control, traction control and lots of airbags. For extra safety, the Driver Comfort Pack (£690) is well worth adding. It comes with the brands Servotronic Steering and adaptive cruise control. Prices for the new car start out from £25,015 and rise to £37,360. For more information on our leasing deals, you can check out our page here. In terms of its running costs, the 218d diesel model is among the most frugal in the range. It averages 65.7mpg economy and emits just 113g/km of CO2. Meanwhile, its BiK rating is as low as 24%. We say “among the most frugal” because the 220d model is just as frugal. It also returns 65.7mpg and actually emits less CO2. It gets better: If you specify the more powerful 220d model with the automatic gearbox, you can return as much as 68.9mpg while emitting just 108g/km of CO2. And from 2018 onwards, both engines come with AdBlue technology, which will lower harmful emissions even more. Where insurance is concerned, the 218d model sits in group 21, while the 220d model occupies group 27. Let’s face it, a rear-wheel-drive BMW Coupe was never going to let you down. The 220d model does 0-62 in just over 7.0 seconds but returns over 68mpg if you specify the automatic gearbox. Passengers will relish an adventure in the 2 Series Coupe. Unfortunately, the diesels aren’t quiet. Then again, it’s also cheaper than rivals. Let’s see how the car fares against its rivals in the comparison section of our 2018 BMW 1 Series Diesel Coupe review. The new Audi TT Coupe is a fun, comfortable and remarkably affordable to run. It’s got just the two doors but that adds to its stylish, racy images that a lot of buyers will be attracted to. On the road, it’s more entertaining than ever but it also makes for a good long-distance cruiser. All models get the brands progressive steering system which helps to sharpen its steering up at speed. Even without it, the steering is precise – but it could have done with more communication. In terms of the engines, the TDI Ultra diesel would be our top pick. It’s super cheap to run and can swiftly get you from a standstill to 62mph in 7.1 seconds. Day to day driving is good, as is acceleration from low speeds. If you need a bit more pace and power, a Quattro four-wheel-drive diesel is your other option. It covers the 0-62 dash in 6.7 seconds and is paired up with an automatic transmission. This 2.0-litre 181bp diesel isn’t as cheap to run as the TDI Ultra, however, and returns 52.3mpg economy at best while emitting 142g/km of CO2. In contrast, the TDI Ultra diesel manages 60.1mpg and emits 124g/km of CO2. Inside, it’s easy to make a convincing argument that the Audi TT sports more quality and a better design than the BMW. It’s also comfortable, though specifying the brands MagneticRide suspension makes it even comfier. Add to that the sculpted seats and covering long distances is easy. The dashboard is tastefully designed and looks elegant, and all models get Audi’s brilliant Virtual Cockpit as standard. This reduces button clutter and brings together your driving data, sat-nav and infotainment into one place. 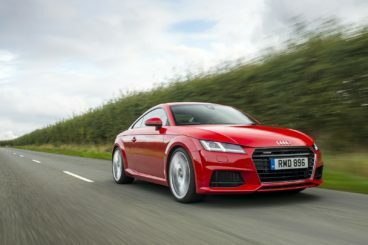 Is the Audi TT Coupe practical? No one is going to put practicality first when they’re taking a look at a TT but because it’s shorter than the 2 Series, it’s easier to park. However, being shorter means it gets a smaller boot. Its 305-litre boot is way off the BMW, and when you fold the rear seats its capacity only increases to 712-litres. Still, there are plenty of smart storage spaces to be found, and while its rear seats are small and are difficult to access, space up front is fine. The new Mercedes C-Class Diesel Coupe is marketed as a much more relaxed proposition than the BMW but a noisy diesel engine is at odds with its character. We’re impressed with how fast the 2.1-litre diesel is, but the BMW offers a better engine. This one powers the C250d model and it sounds too coarse to be enjoyable on longer journeys. Moreover, while it can get you from rest to 62mph in 6.7 seconds, it emits a rattle that a lot of buyers will find plain annoying. Pulling power is much better than it is in the entry level C220d model, though. This one develops 168bhp, which is enough to get you from a standstill to 62mph in 7.8 seconds if you stick to the manual and 7.5 if you pick the automatic. Away from the numbers, the C-Class is a nice car to drive. There’s lots of feedback, it’s engaging, but ultimately it isn’t as sharp as the 2 Series. Add the AirMatic Agility package and you’ll benefit from Agility Select, adaptive dampers and air suspension which improve the car on a number of fronts. Running costs? The C220d model is good for returns of 68.9mpg while the bigger C250d model manages 64.2mpg at best. CO2 emissions will vary depending on which wheels you go for, but if you stick to the smallest 17” alloys, the C220d emits just 106g/km of CO2. 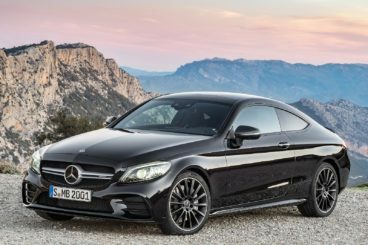 Is the Mercedes C-Class Diesel Coupe practical? The lack of rear doors will frustrate those who need to climb into the rear but that’s just part and parcel of a Coupe experience. On a day to day basis, this is pretty damn usable. Space upfront is excellent, there are enough storage spaces to help you keep the cabin clean and tidy, while the boot measures 400-litres. That makes it the biggest in this review. If you want a Coupe that offers a blend of fantastic handling, economy and pure performance, it’s going to be hard to look past the new 2 Series. Its diesel engines are cleaner than ever yet still performative, its 8-speed automatic ‘box is the best in its class, and its rear-wheel-drive layout is as on-point as ever. The new BMW 2 Series Diesel Coupe is a car to relish.